HR1914- House for rent in Chiangmai Thailand. a beautiful house for rent in Donchan area., Nice view with 3 bedrooms, 3 bathrooms, living room,fully furnished Very Good location and nice garden. HR1863- House for rent in Chiangmai Thailand. 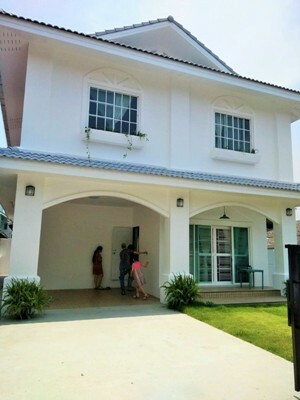 The beautiful house for rent in good Project in sarapee area Chiangmai Thailand. General Features with 3 Bedrooms, 3 Bathrooms ,1 Living rooms, 1 Kitchen, 1 Air -condition, Hot-Water, TV, Refrigerator, Car- Parking, fully furnished. fitness, swimming pool, security 24 hours, CCTV and park.,near by Promenada Resort Mall. It s take 10-15 minutes to Chiangmai airport. HR1874- House for rent in Chiangmai Thailand. 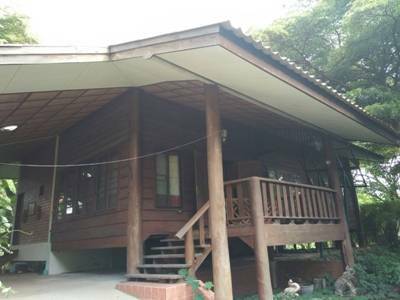 House for rent located in San Pee Sue sub-district Muang Chiangmai. 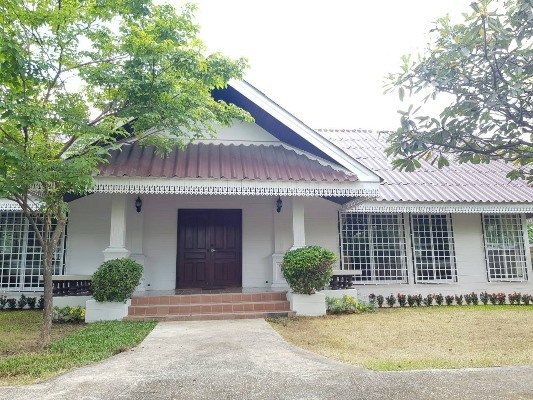 General Features Lot Size: 74 Sq.wa Price for Rent: 25,000 Baht/month, 3 Bedrooms ,3 Bathrooms ,1 Living rooms ,1 Dining room, 1 Western Kitchen, 4 Air- Conditioner, Secure Parking, Fully furnished Outdoor Entertaining Area, Safe area. Facilities: Swimming Pool, Club House, Public Park, Security, Children s Play ground Accessible to public transportation and amenities. 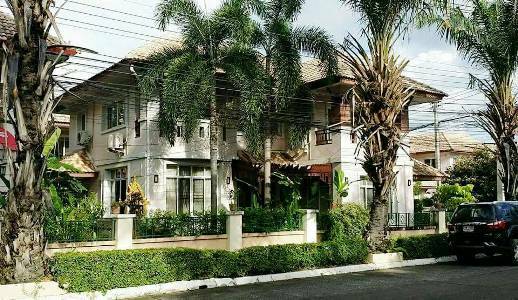 HR1898- House for rent in Chiangmai Thailand. 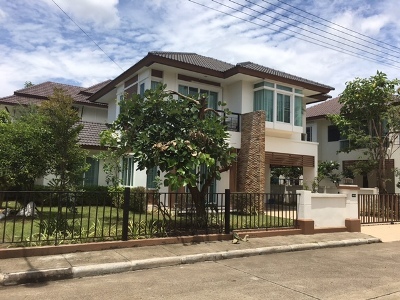 House for rent located on Mahidol Rd., Muang, Chiangmai Province. Land area 60 Sq.wa. using area 160 Sq.m. New House fully furnished 3 beds 3 baths with big western kitchen. Near by Varee Chiangmai School. HR2001- House for rent in Chiangmai Thailand. New House Magnificent and spacious. the quiet and picturesque area only 15-20 minutes from the city center of Chiang Mai and Chiangmai International airport. The property is decorated with good materials and furnished in style. 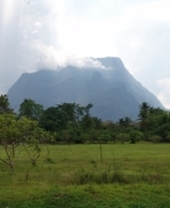 General Features Lot Size: 100 Sq.wa. Price for Rent: 25,000 Baht/month, 3 Beds, 3 Baths, 1 Living rooms, 1 Kitchen, 3 Air- condition, 2 Hot-Water ,TV, Refrigerator or fridge freezer. Facilities: Swimming Pools, Club House, Gym, Sauna, Security, Childrens Play. HR1933- House for rent in Chiangmai Thailand. beautiful house for rent with 4 bedroom, 4 bathroom, high quality of the furniture, swimming pool, good security. Nice garden, only 15 minutes to the airport. 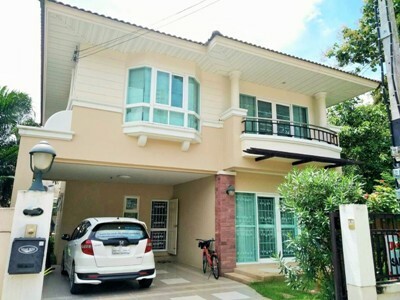 HR3001- House for rent in Mae Hia, Muang Chiangmai. 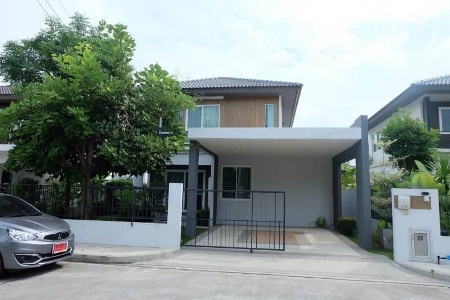 Double Storey House for rent, located at Mae-Hia Sub district Muang Chiangmai, 4 bedrooms 3 bathrooms Fully furnished. Near by Chiangmai Night Safari, World Botanic Garden, Mae Hia market, 7-11 irrigation canals. The atmosphere is very peaceful and peaceful. It is about 10-15 minutes from the town. HR2032- House for rent in Mae Jo & Sansai Doi Saket, Chiangmai, Thailand. House for rent in San Sai, Mae Joe area. Only less than 10 mins drive to Mee Chok Plaza and Central festival. Located in high standard, secured and well maintained housing estate , which has proper club house including gym and swimming pool. This property sits on 66 sq.wa plot with lots of matured trees. The house consists of 3 beds, 3 baths, office, fully equipped western kitchen, laundry area. General Features Lot Size: 66 Sq.wa Price for Rent: 25,000 THB/Month, 3 Beds, 3 Baths, 1 Living room, 1 Western Kitchen, Air- condition, Hot-Water, TV, Refrigerator or fridge freezer. Secure Parking, Fully furnished. 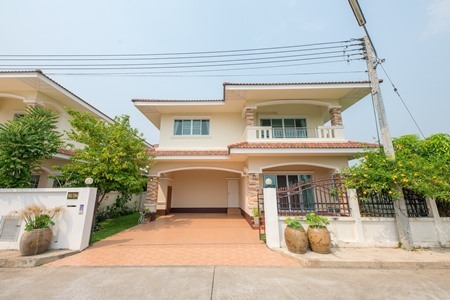 House for rent in Mae Jo & Sansai Doi Saket, Chiangmai, Thailand. @ Mae Jo University, Chiangmai, Thailand. HR2034- House for rent in Doi Saket, Chiangmai, Thailand. 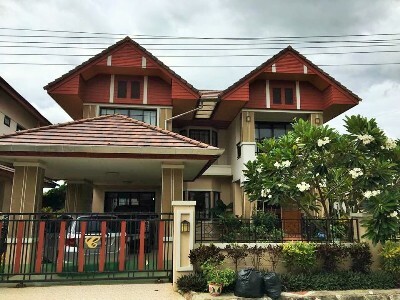 Double Storey House for rent in Doi Saket Chiangmai Thailand. Inspired by modern living concept. Getting comfortable on Ring Road (Sanpoo Loei). With a location surrounded by nature. House for rent in Ornsirin 6, San Puley Sub-District, Doi Saket District, Chiang Mai. You can getting into the city about 15-20 minutes. General Features Land Size: 56 Sq.wa House Size: 165 Sq.m. Price for Rent: 25,000 Bath/Month 3 Beds, 3 Baths, 1 Office, 1 Living room, 1 Kitchen, 3 Air- condition, 2 Secure Parking, Hot-Water, TV, Refrigerator or fridge freezer. ,Fully furnished. Facilities: Swimming pool, Club House, Garden, 24 hour security system, Children s Play ground. 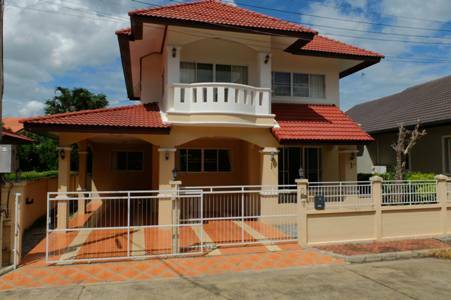 House for rent in Doi Saket, Chiangmai, Thailand. The beauty 2 bedrooms house in the city , fully furnished, nice garden, safe and private. HR2055- House for rent in Chiangmai Thailand. This beautiful house is located within the gated community in Saraphi area, near to Promenada. Shopping Mall and easy access to the Mahidol Road. Approximately 10 km from the city, close to Big C Shopping Centre and about 15 minutes drive from the Christian German School Chiang Mai. This house is offered partly furnished with 3 beds, 3 baths on of which is en-suite to master bedroom, large living/dining room and western kitchen. Also equipped, and is in a perfect decorative. Outside, beautiful landscaped garden. 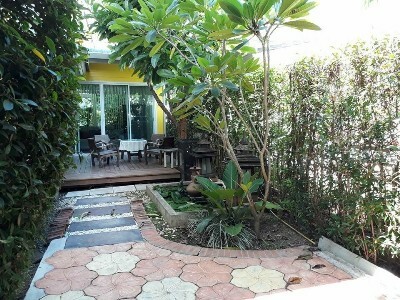 The garden area is well-maintained, it s nice easy to manage garden, covered area and car park. General Features Lot Size : 116 Sq.wa. Using area : 250 Sq.m. 3 Beds, 3 Baths, 1 Living room & Dining area, 1 Western Kitchen & Dining area Balcony, 4 Air- condition, Hot-Water, TV ,Refrigerator or fridge freezer. Secure Parking , Fully furnished. Facilities: Swimming Pool, Club House, Fitness, Security 24 hours, Children s Play ground. HR2056- House for rent in Chiangmai Thailand. 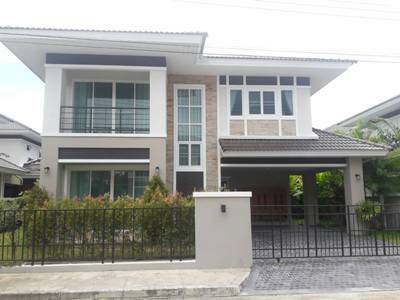 Modern Contemporary home in a quality community located in Chang Phueak, Mueang Chiangmai. Fully furnished. 3 beds 3 baths, 2 living rooms and western kitchen. This village have a rest in the garden next to the fountain. Choose from the free-form beauty or relax with the short jogging track. CCTV security, Guard Scan system and garden for your peace of mind at this village. 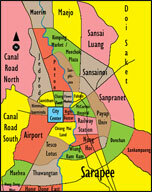 Near by Lanna Golf Club and sport center, Nakhon Ping Hospital and Chiang Mai City Hall. General Features Lot Size : 61 Sq.wa., 3 Beds, 3 Baths, 1 Living room, 1 Western Kitchen ,1 Thai Kitchen, Air -condition, Electric, Hot-Water, TV Refrigerator or fridge freezer Secure Parking, Fully furnished,Kitchen equipment,Safe area. HR2058- House for rent in Chiangmai Thailand. Wood house Single Storey for rent in the city., some furnished. House in quite area and fresh air. Good location in the city. Nearby Sontitom Temple, C.M.Computer Center and Maya Shopping Center. General Features Lot Size: 100 Sq.wa. Using Area: 160 Sq.m. Price for Rent: 28,000 Baht/Month, 2 Beds, 2 Baths, 1 Living room, 1 Kitchen, 2 Air- condition, 2 Hot-Water ,Secure Parking ,Some furnished. 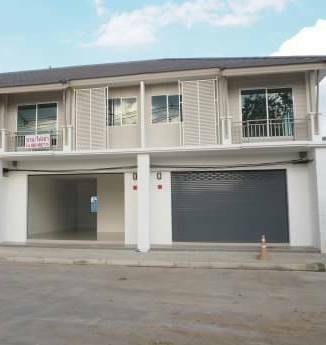 Double Storey House For Rent located in San Kamphaeng, Chiangmai, near Promenada Resort Mall, Big C Donchan, and Payap University. Fully furnished, living room with Sofa set and TV, Kitchen with fridge and microwave, 2 Air- conditioners and car parking for 2 cars. Lot Size : 65 sq.wa,3 Beds,3 Baths,1 Living room,1 Kitchen,2 Air- conditioners,1 Hot-Waters,1 TV,1 Refrigerator or fridge freezer. ,2 Secure Parking, Fully furnished. Towhome for Rent located in City, near by Big-C Donchan, Promenada Resort mall , Chiang Mai Railway Station, Bangkok hospital Chiangmai. With 135 Sq.m., 3 b 2 b1kit, 2 Car. 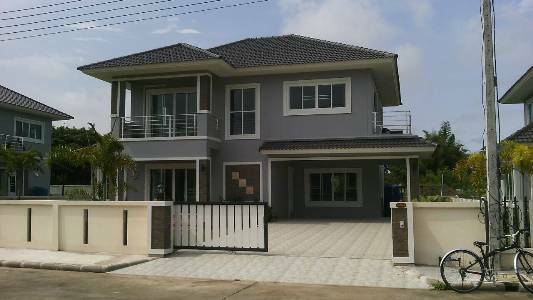 beautiful house for rent in MaeJo area. It takes 15 minutes from to Chiangmai City. nice garden, furnished, swimming pool in club house, 24 security.